It’s a common problem, and one that if not rectified can have major ramifications for your business. So what happens when the culture in your business has been bad for years? From past business owners and past Management teams who have simply failed to act, failed to manage and failed to have those all-important difficult conversations. I won’t lie… it’s hard work. But it is doable and completely worth the time and effort. The first thing I advised our Client to do was complete a pulse check on the current team. We tailored an Employee Engagement survey and asked questions such as “What do you like most about working here?” and “What do you enjoy the least?”. In essence, we asked for feedback that staff may not have liked sharing verbally in person for fear of repercussion. But having HR Central facilitate this process helped made it even easier for the employees to share their current perceptions on their workplace culture and their ideas for improvement. After compiling and reviewing the feedback, we set about putting ideas in action. The key word here is action. Don’t get employees hopes up that some things are going to change and then… do nothing. Some of the feedback and solutions were quite straight forward to implement- more structure and an open agenda in staff meetings to make them worth having and where all departments can contribute. More acknowledgment of a job well done by simply saying thank you- those two golden words that don’t get used enough in the workplace. Other ideas took more thought and consideration- some staff were hoping to negotiate more flexible working arrangements where they could work from home on occasion. Others indicated that a salary review would be beneficial based on their long length of service. There were some harder comments to hear. A culture of bullying became apparent, which in the past had been swept under the carpet. Many employees expressed frustration, concern and disengagement in their roles due to Management’s lack of action with regards to workplace bullying. In this day and age, unfortunately we cannot continue to shy away from difficult conversations. I can’t stress enough the importance of acting immediately when you hear of problems within your team. By ignoring issues or hoping your employees will “sort it out themselves” will only allow an already toxic culture to fester even more. If you really don’t want to hold these meetings, engage an external HR provider to do it for you. HR Central have qualified and experienced Consultants ready to assist with all aspects of mediation and negotiation. We strive for and achieve best possible outcomes for our Clients- this could be a quick mediation and apology between staff members, through to termination upon alleged bullying being proven. Once we got through the issues, the repair work needed to start. We advised to keep the acknowledgement and thank you’s coming. Consider implementing a Team Member of the Month Award based on employee contribution, behaviour and loyalty. Create some fun and offer spot prizes for great work or achievement of sales targets. Bring a cake in on a Friday. Keep and communicate an ‘open door policy’ where employees can start to share ideas or concerns whenever they come up. Put out any fires immediately – keep your finger on the pulse of your team. Hire slowly. Act on problems swiftly. I am pleased to say that the culture of my Client’s business is on the improve. It hasn’t happened overnight. It’s been very difficult at times. But the team’s reaction has been worth it. There’s a new ‘vibe’, a different energy in the workplace. Retention is on the increase. People are re-engaged again. It’s a great result for all. 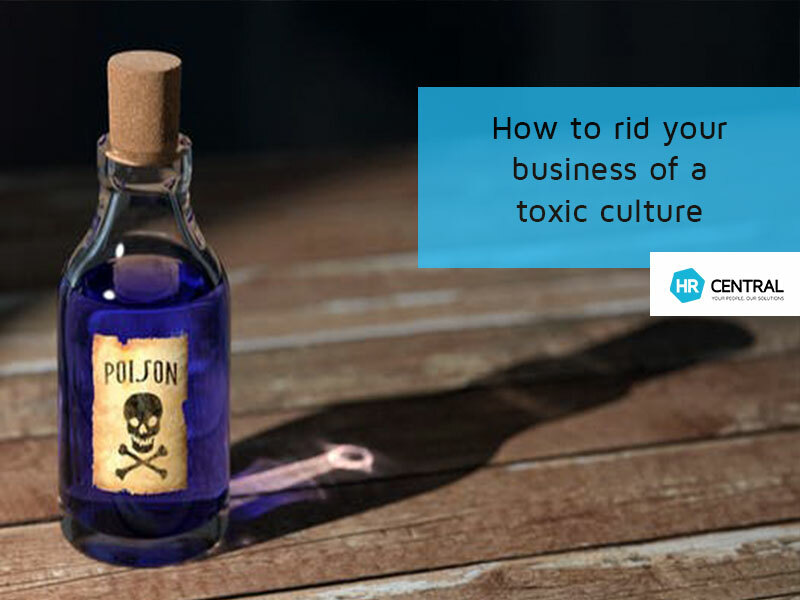 Toxic cultures can break a business. Reputations can become damaged for the long term. Don’t accept it’s just the way it’s always been. By breaking the cycle and making a long term effort to improve your workplace culture will only bring benefits to you and your Employees. Olivia is an HR professional with over 14 years industry experience. 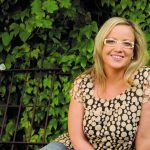 She brings a great wealth of experience to the HR Central team and focuses mainly on supporting our vastly growing Regional Victoria client base. Olivia dedicates most of her time helping clients with: * Organisational development and change management * Employee engagement and coaching including work with Leadership teams from Geelong Football Club * Employee relations and dispute resolution * Leadership development and youth empowerment. This program is aimed at disengaged people and provides skills in job seeking, well-being, finances, personal presentation and career planning * HR Products developed include The Ops Box – a highly visual HR risk management tool housing essential policies and procedures for any workplace * Project and Grant management experience * Contract and Tender development & management * Permanent and executive recruitment. Olivia has placed candidates across a multitude of industries with a strong focus on the mining sector Australia wide. Help new starters from day one. Get your induction right.